This boat is a well made i/o cobra drive with a 3.0 GM marine block. 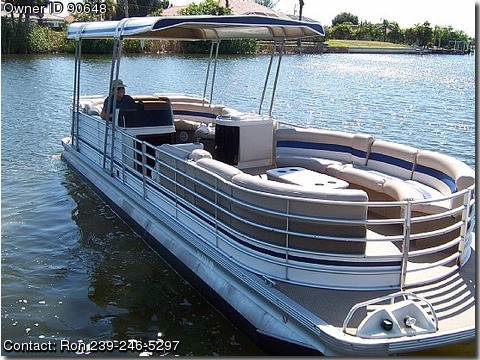 It produces about 230 hp.This boat has been refurbished with new carpet, seats, engine and canvas cover. The hard top is factory installed and has been repainted along with the boat. The floor is aluminum eliminating the need to replace any flooring. The engine was rebuilt by a local marina with a good standing and reputation in the area. We have test driven this boat several times to iron out all the kinks for a trouble free experience for the new buyers.The trailor is a used galvanized 30 ft but in good shape. we are in the process of repacking the wheel bearings. Any fuel can be used in this boat and has a thirty five gallen tank. The enginr burns about two gallons per hour at 5000rpm due to the two barrel carb set up.